The attorneys of The Orlow Firm provide strong representation to victims of police brutality throughout the New York City metropolitan area, including The Bronx, Brooklyn, Manhattan, and Brooklyn. Our attorneys are thoroughly versed in the laws concerning police brutality and prison guard abuse. You do have rights! 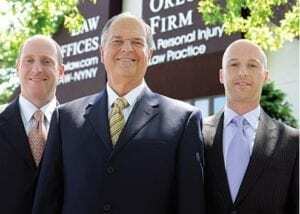 Contact The Orlow Firm to talk to a Brooklyn police brutality attorney. Our qualified and experienced lawyers will offer a confidential and honest assessment of your case.